Cold, hard cash… Or glittery gift cards? It’s an ongoing conundrum every holiday season. If you’re like me and you have a particularly challenging list of friends and relatives to buy for, this is the burning question. For those looking to choose one or the other, consider the pros and cons of both. Today, it’s easy to buy gift cards. They’re in the checkout lane of almost every retailer, or in a stand nearby. And it’s no wonder; retailers love gift cards! 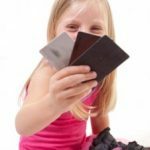 Not only do they make a bigger profit than from shoppers using cash, but considering the many cards that are lost, forgotten, and/or have outstanding balances that are never used, stores can really come out ahead. Gift cards also bring in new customers who would otherwise not have shopped the store. Best of all, those who are using gift cards often spend more than the card is worth, boosting the retailer’s revenue. It’s a win-win… For the gift card retailer! A gift card feels more personal because you actually had to go to a store to purchase it. Also, you had to pick from a seemingly endless variety, which proves there was some thought put into the gift giving. So what if the card recipient is not a fan of the only store they can redeem the card at. It’s the thought that counts, right? Did you know there are ways to pay less for gift cards? 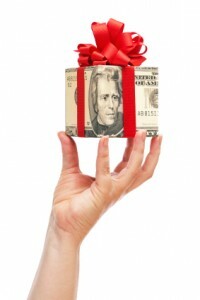 Yes, you can fool your gift recipient by spending less on them than they think you did! Auction sites like eBay sell these cards for less than face value, but you need to make sure you’re not getting ripped off or paying a shipping charge that would negate any savings. Also, verifying the card’s expiration date is important. If you’re not comfortable with eBay, specialty sites such as giftcards.com and certificateswap.com offer gift card discounts of 10 to 20 percent — but there isn’t always a great selection. Warehouse clubs such as Costco and Sam’s Club also sell gift cards at a discount off face value. Today, there are also more gift card options. A more versatile alternative to a specific store card is a prepaid Visa, Master card or American Express gift card. These are readily available both at many stores, including convenience stores, or online. The biggest benefit is that these cards can be used like cash anywhere for anything. You could be giving the gift of gas for the car or diapers for the baby, but money is money in this economy, even if it isn’t being used as a gift. If you are really unmotivated to shop this year, there are e-gift cards you can purchase and send from the comfort of your home. Just be aware that spam blockers may interfere with the recipient actually receiving your gift, so you’ll have to give them a heads up. The element of surprise is overrated anyway, right? Many gift cards are limited to one retailer, so you need to find out where the recipient likes to shop. Otherwise, you risk giving a gift that will be re-gifted, something we all try to avoid. Gift cards can be easily lost, misplaced or not fully utilized. That’s not an issue for the giver, unless you consider that your hard-earned money was wasted. In this case, consider your purchase as a gift to the retailer or business the card came from. Some gift cards also have fees, expiration dates, and/or restrictions, so be aware of what your purchasing and make sure the recipient is in the know, as well. The biggest benefit of cash is its convenience and flexibility. It can be used anywhere for anything. You may have grandma to thank for at least part of that new iPad this Christmas! Cash does not have an expiration date, hidden fees, or any restrictions whatsoever. You can just spend it at will. Unlike a gift card, you can save or invest cash. Also, if you don’t use the full amount of a cash gift, you get change back that you are more likely to spend at a later date because you know how much it is worth. You may not remember it was part of a gift or who gave it to you, but it’s there nonetheless. It’s hard to find any negatives with cash gifts. Yes, it can be lost or stolen just like gift cards. Also, actual money can be considered less personal than a gift card. But it’s a sure bet that most recipients will appreciate cold, hard cash, even if they choose to spend it on someone else. There is no better time than now to consider the pros and cons of cash and gift cards to help determine the best choice this holiday. After all, we only have a few shopping days left before Christmas! Thank you for the article, Lisa. You made plenty of points for the pros and cons of both gift cards and cash. You mentioned that gift cards potentially bring in new customers to stores. This provides retailers with an excellent opportunity as it is commonly believed to be a quite difficult task. Thanks again! The marketing team that has somehow turned giving cash a bad thing and giving a gift card a good thing should be proud of themselves. They have created one of the most successful, most bogus taboos ever. Cash is ALWAYS better than a gift card. Giving a gift card is like making somebody work for their gift… they have to go to the store that accepts that card and follow the cards rules. Then if they don’t spend it all they have to work some more or lose the rest of it. People stop buying into this marketing scheme, CASH IS KING!!! I’m a mom on a budget. If you give me a gift card for pedicure, salon, clothing store, etc., then I will use it to treat myself. If you give me cash, I’ll buy groceries or pay bills. I will appreciate both. But if you want me to feel pampered on my birthday or during the holidays, then give me plastic instead of paper. cash will never go out fashion,however besides being “less personal” it could also come across as being “hard and cold”.exactly how you put it.Theres no “love” or “feelings” assosciated with it,thats the reason the idea of a “gift” was invested,to mask the wade of notes. Going along with the pros of gift cards as personal items I think this trumps their position over cash gifts. However one thing that always prevails is the situation. For example, I will not buy a gift card for someone unless I know it is for something that they truly love. Although this forces the recipient into using it for only that avenue it is trumped by the fact that I remembered that thing, place or service they truly love. Giving out cash with the best of intentions can be misconstrued so as to give the impression that you might be lazy, forgetful, never pay attention, etc. etc. Let us remember here although holiday gift giving is a set tradition these are gifts and we should be thankful for what we receive. GiftCardMall is pretty good too. Still cash is king. We have lined up some brand new bills to hand out on New Year’s Day for cousins, niece, and nephews.